AUSTIN CABARET THEATRE: HEDDA! HEDDA! HEDDA! Almost everyone in the Cabaret world knows that Hedda Layne is a woman of many moods, talents and looks. Whether she’s belting out soulful gospel sounds, high-energy dance tracks or moody electro-lounge numbers, when you hear Layne, you better get ready to move. She is versatile in her singing styles covering everything from classical, jazz, cabaret, lounge, new age, soul, funk, blues and gospel. A singer of extraordinary range, Hedda’s voice is perfectly matched by the work of her longtime collaborator and husband Troy Lee Warden. Troy is a gifted musician in his own right, but it is when he builds the soundscapes for his muse that the magic really happens. Following the tradition of Cabaret music, an evening with Hedda Layne promises to deliver thrilling tunes, classic choreography, and a sultry personal touch from the charismatic performers. Her music is positive, enlightening, uplifting and encouraging no matter your personal background. Drawing from musical influences such as Lena Horne, Liza Minnelli , Diane Schuur, Barbra Streisand, and of course, Judy Garland, she spins a musical yarn from her many life experiences as well as the experiences of those who love and support her. It’s a legion of fans. 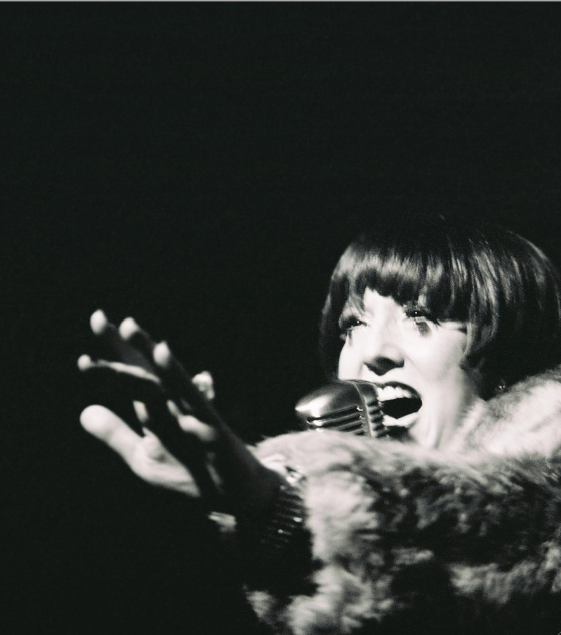 Hedda Layne performs her debut cabaret show at the Austin Cabaret Theater on January 15 and 16. This is a rare opportunity to see and hear her perform her unique take on cabaret classics and share insights into her musical life to date. It will be a very special evening with a few surprises in store. The show will be at the Shoal Creek Crossing Events Center located at 8611 N. Mopac Expressway. The dinner segment starts at 7:00 p.m. and the show starts at 8:00 p.m.
Visit www.austincabaret.org for more information or http://www.brownpapertickets.com/event/1029636 to purchase tickets.